An active performer, violinist Christina Mok has become a familiar figure in the classical music scene in Northern California. She devotes herself equally to solo performance, chamber recitals, and orchestral leading. 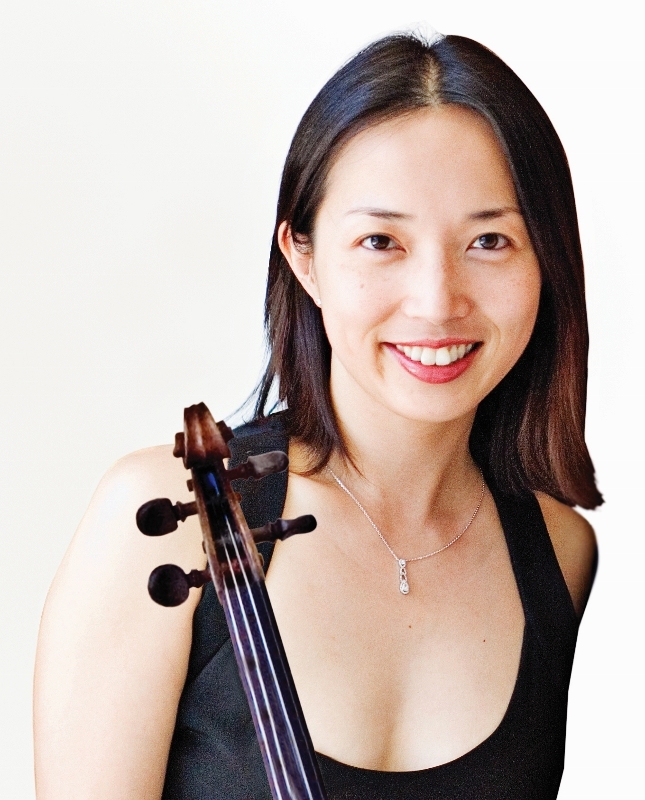 As a chamber musician, Ms. Mok curates and leads a chamber series with the members of the Monterey Symphony. She played in prestigious series and festivals, including Music at Meyer and the Musicarama Festival in Hong Kong, as a member of the Laurel Ensemble. She has played recitals in Korea, Japan, England, Norway, Hong Kong, and the United States. Her recitals have been broadcast on the BBC and RTHK. Ms. Mok collaborates with pianists Miles Graber and Aileen Chanco. Ms. Mok is the Concertmaster of the Stockton Symphony and the Monterey Symphony and the Associate Concertmaster of Symphony Silicon Valley. She continues to appear as guest concertmaster in many of the orchestras of Northern California. She has played with many British Orchestras, such as the Royal Philharmonic, the Royal Ballet Sinfonia, the Philharmonia Orchestra, and the Bournemouth Symphony. She has played in the Evian Festival, the Proms, Mainly Mozart Festival and Midsummer Mozart Festival. She is the winner of numerous competitions including the BBC Young Artists’ Forum Audition, the Sutton Chamber Music Competition, the Warshaw Violin Competition, the Korean Music Association Scholarship, and was named Young Promising Performer of the Year by the Seoul Arts Center in 1997. She studied at the Guildhall School of Music and Drama in London with a full scholarship and was also honored with a British Council Fellowship. Her principal teachers include Soon-Chung Suh, Yfrah Neaman, and Rodney Friend.